As a content strategist, I spend a lot of time working with internal and external stakeholders helping them solve their most pressing business blogging problems -- in addition to wielding overly-emotional opinions about the Oxford Comma. While everyone needs to make peace with their content or blogging God about how creating content still requires actual effort -- sorry, content-creating gnomes aren’t a thing -- there are certain types of challenges that can be fixed easily, if not completely avoided in the first place. In fact, there are two simple blogging tips you can embrace right now that will instantly solve a vast majority of those problems and help you hit your content goals faster. Knowing that you need buyer personas before you start creating content is “Inbound Marketing 101” level stuff. Here’s where it gets a little tricky, however; it’s rare that you’re only going to have a single buyer persona. So, when it comes to your content, what do you do? If you answered, “Create content that is broad enough to speak to our entire audience at once, as much as possible,” to that last question, you would be wrong. Content that tries to be everything to everyone is ineffective. If that sounds like you, that's a bad thing. You should always know which persona you're trying to reach, and it should never be more than one primary persona. What they're really saying is that they're somewhat proficient at a bunch of different things, but they lack the focus to excel in one particular area, which we all know is much more fulfilling and productive. I’ve talked before about how writing a blog introduction can be one of the most frustrating exercises a content creator can go through. Trust me when I say completing this short exercise will help you frame your introduction in a way that more effectively connects with your audience. Then they’ll keep reading and they’ll absorb your brilliance, which will help them make better decisions and overcome their most stressful challenges. The answer is simple: Still pick a single primary persona. We run into this exact scenario a lot at IMPACT. Strategic marketing leaders often need to get down in the tactical weeds and solve problems that pertain to doing the actual work. And tactical marketers are often asked to put on their strategic thinker caps and solve bigger problems. However, while those two personas may have commonalities and find a particular piece of content equally helpful, I would argue strongly that it’s still a best practice to at least choose a primary out of the two to focus on. Even if they’re trying to mentally jump over the same hurdles, they’ll be doing so from opposing (or at least varying) perspectives, with different external and internal pressures. Finally, there’s one last bonus to this single persona approach to content. Having a single persona in mind for a blog article will make fleshing out your editorial calendar much easier. Instead of knocking out a single topic in one outing, you’ll be able to come back and visit the same topic from different perspectives. No matter how big or small a piece of content is, don’t try to solve all the problems pertaining to a topic in one article. Build your content with laser focus around solving one problem. Again, any time you can get more specific, the quality of your content will improve, as well the results and reactions you see from it. Typically, it’s a specific problem or question that creates the urgency for us to go searching for content. Then, we'll skim seemingly appropriate articles for relevancy to our specific situations and problems before we commit to actually reading it. We’re all busy, right? Who wants to wade through thousands of words about broad topics, looking for that one nugget pertaining to what we’re trying to accomplish? What’s neat about this rule is that you can apply it with equal success to a short 500-word article and a 10,000-word piece of pillar content -- and everything in between. I’ll use our Ultimate Guide to Website Redesign for Businesses pillar as an example. When Jessie-Lee and I sat down many moons ago to set the scope for this piece, we agreed that there were tons of ways we could tackle such a broad topic. Moreover, there were endless subtopics we could have included. But we wanted the guide to be useful. We wanted it to make sense. We wanted the progression from chapter to chapter to be linear and logical. “There are a lot of things businesses need to understand -- and do -- before they ever pick up the phone to call an agency (even us!) about redesigning their website. I love this example, because often when I tell people about the "single problem" rule, they think I’m crazy. By focusing on a single problem in an article or piece of content, you’re giving yourself a lot more freedom to explore and dive more deeply. Although a single problem may sound simple on its face, usually the answer you'll come up with will end up being quite complex. Going back to the example of the website redesign pillar, even though we were solving for a specific problem, we had to talk about a lot of different subtopics, in order to deliver the most effective solution to our audience. 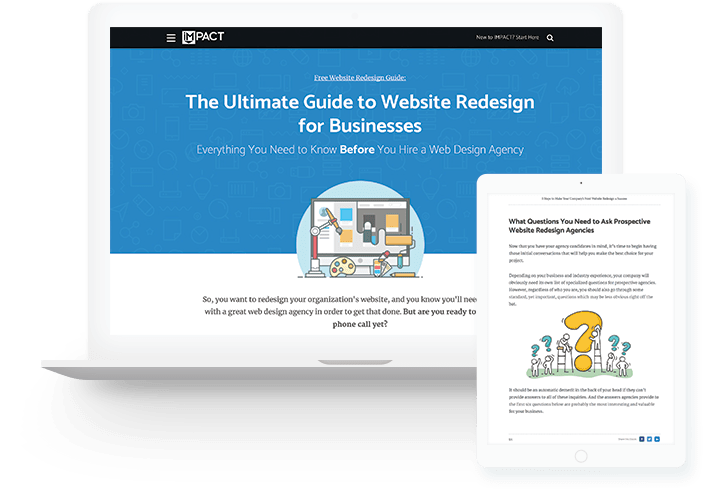 The pillar includes candid advice around website budgets and timelines, insights on the data you need before you pull the trigger on a new website, honest guidance on how to find the right agency, and much more. When you focus too broadly, the opposite happens. You may cover a lot of ground, but all of the pieces will never quite hang together. You’ll also never get down to the level of detail you need to, because you’re scattering your efforts and obfuscating what you're really trying to teach people. Most of the time I encounter issues with audience and topic scope creep because an organization or a single content author has created a false sense of urgency in their head about the piece in front of them. If this sounds familiar, don’t panic. Whenever you want. If you think of other topics that complement what you’re working on, go ahead and map them out on your content calendar. That’s okay! If you touch upon something that you need to come back to later, don’t be afraid to tease the audience and say, “That’s a story for another day.” You can (and should) always write articles and longform pieces that build on each other and tell a larger story. Awesome! Now you can come back and create an equally valuable piece of content from them on the same broad topic, but scoped especially with them in mind. They'll thank you for it! Good! Now you know what you’re writing about next. That’s how this is supposed to work. Creating effective content is a long-term play, so your goal shouldn’t be to paint the entire picture of your expertise and everything you have to offer in a single piece of content. 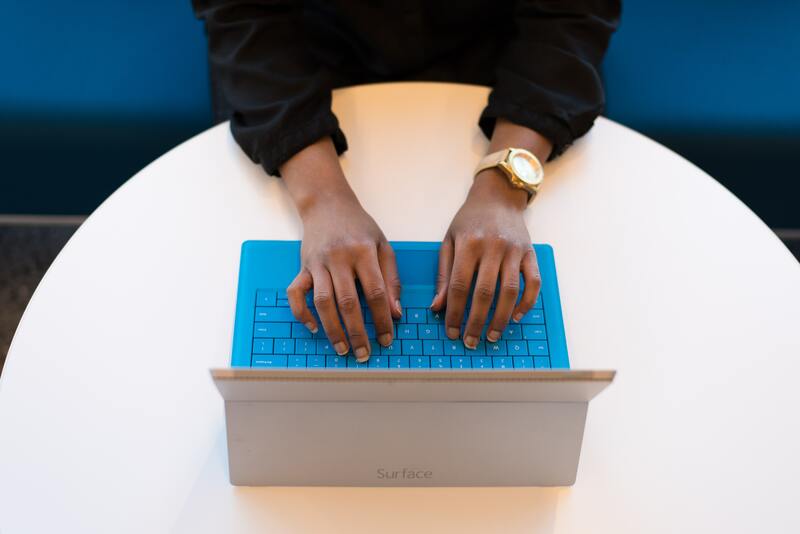 By bringing more focus to your content's audience and intent, you’re more likely to see the short-term gains and successes you’re looking for. Most of all, you'll do a much better job of helping your audience understand who you’re talking to and how you’re going to set them up for success.